This Christmas our family has been trying to focus on service and on Christ. We have been following along with the #LIGHTTheWORLD Initiative on Mormon.org and we have been trying to come up with ways that our family, including all of the little kids, can participate. I think one easy thing to do is to write a little thank you note to someone. There are always people you can thank for things, little or big, they have done for you. Even the kids that can't write yet can draw a picture to say thank you to someone. 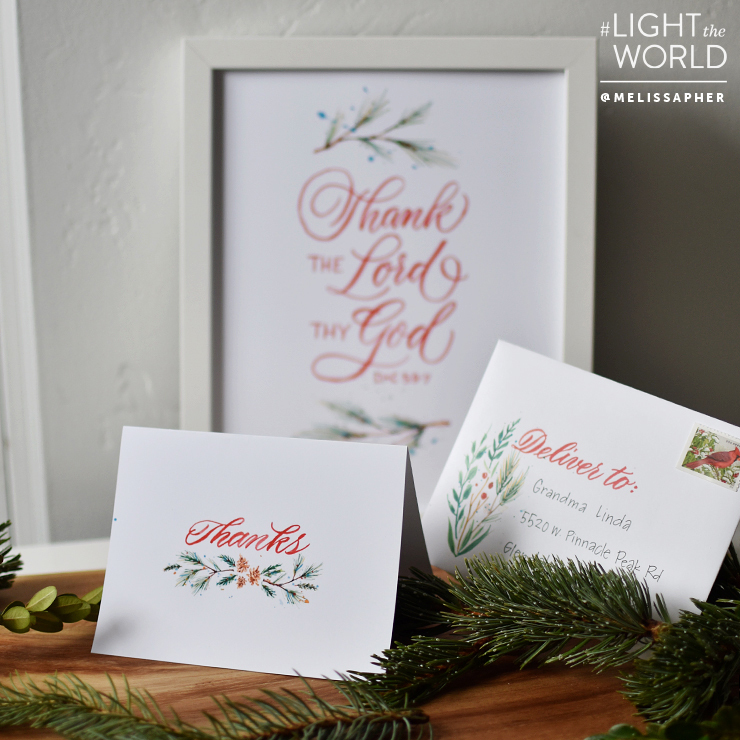 When I saw these printable thank you cards from Melissa Esplin I knew they would be perfect for the kids to use. 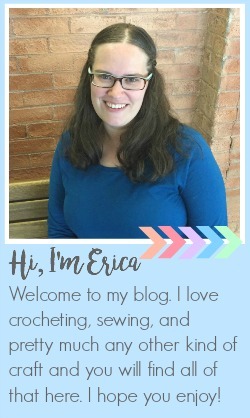 There is a version with big lines for kids, a foldable version, and the version that I decided to use, as well as an envelope and a larger printable you can frame. I chose to go with the version that I did because I thought it would work for all of my kids. The older kids could write a little thank you to someone, the younger ones could draw or scribble a little something in the open space. 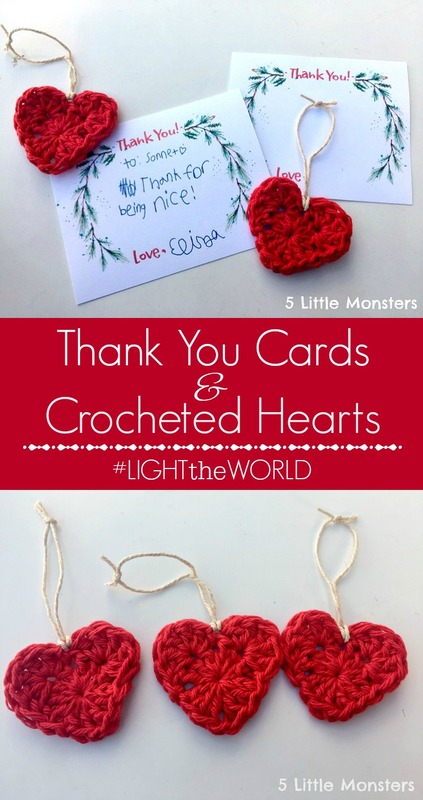 I also decided that I wanted to make a little something quick that they could give with their cards. Just the cards themselves are nice but I thought it would be fun to add a little something else. 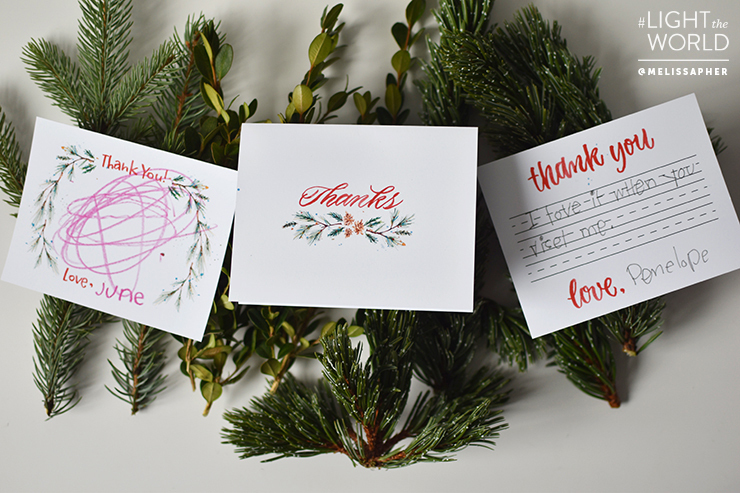 You could give it with a plate of cookies or a baggie of treats, but I decided to make some really simple little ornaments that could go along with the cards. 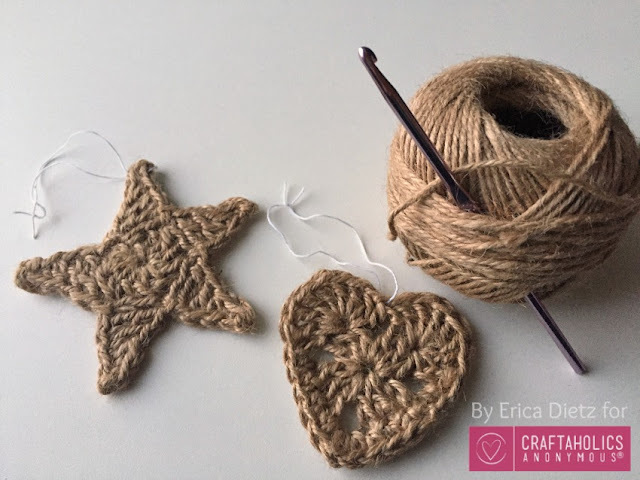 Last year at Christmas time I shared a pattern over on Craftaholics Anonymous of some little jute heart and star ornaments. 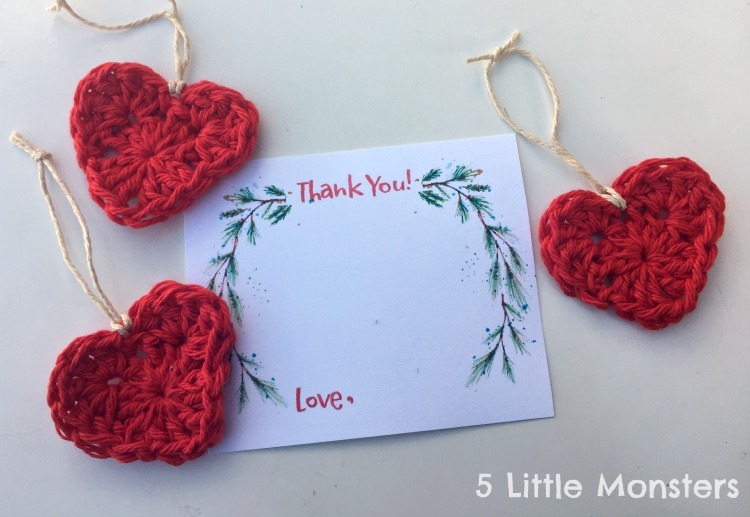 This year I decided to take the same basic idea but instead of using jute I just used some red cotton yarn and only make little hearts, I thought it would match the cards well. I didn't follow the pattern from last year exactly but it is very similar. You can find the pattern I used for the jute hearts here, they are slightly bigger than the red cotton hearts I made this year. 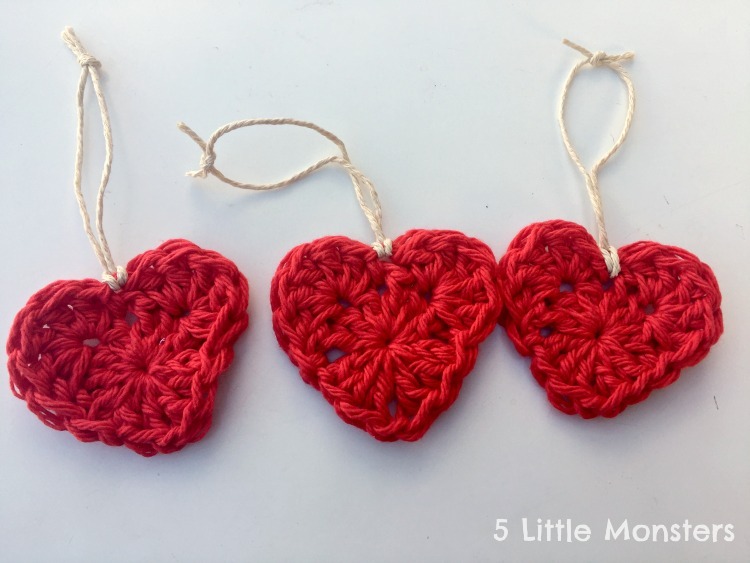 The pattern for the red hearts can be found below. Cut a piece of thread for the hanging loop, fold it in half and pull a loop through the top of the heart, pull the cut ends through the loop making a larks head knot, then tie the top ends to form the loop. 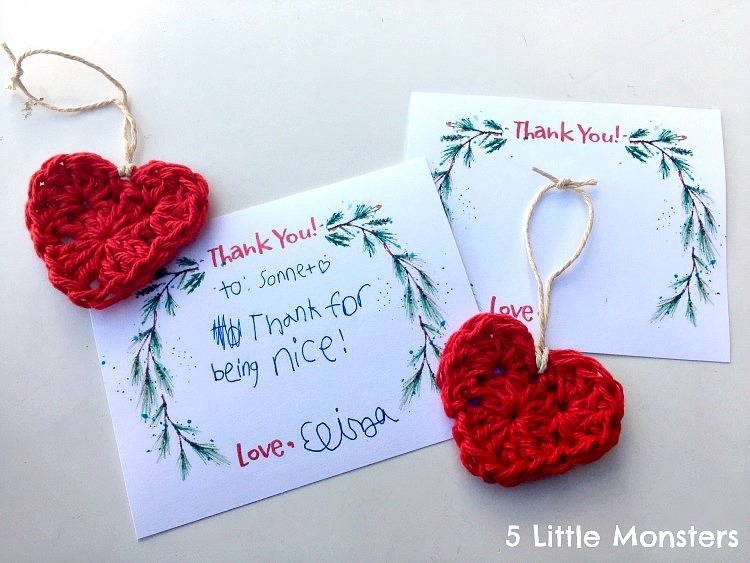 I loved these little cards from Melissa and the hearts were so easy to make that it was a really simple way to help the kids say thank you to someone. It is always kind of fun to hear who they want to thank and why they chose the person that they did. I hope as we have tried as a family to #LIGHTtheWORLD this Christmas season that our family can remember and think about all of the wonderful blessings we enjoy and maybe take a moment to thank some of those that bless our lives. Sometimes at Christmas it is really easy to get caught up in the things that we want or all of the busyness of the season but it is also a great time to reflect on everything that we have.